Have you ever wondered what it would be like to eat a bag of caramels as you walk down the streets of Carmel? To watch a caramel-colored sunset along the coast of a serene Carmel beach? Or hear the sweet sounds of a Carmelite choir as you savor the sweet taste of a hot caramel sundae? If these sentences sound strange to you, it may be that you’re confusing the words “caramel” and “Carmel.” Some believe that “caramel” and “Carmel” refer to the same thing and can be used interchangeably, but you’re about to learn that they are actually quite different! 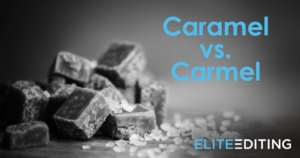 Continue reading to learn how to solve this grammar conundrum and answer the question of caramel vs. Carmel. Caramel—a common noun spelled with seven letters, including two a’s—is a sweet food item often enjoyed as a candy dessert. It’s formed by cooking sugar until it turns into a light, silky, toasted-brown color. It can be molded and hardened into various shapes or simply served as a creamy sauce. Based on the dessert’s distinct color, the word “caramel” is also used as an adjective to describe objects of this particular shade of brown. OK, So What Is Carmel? 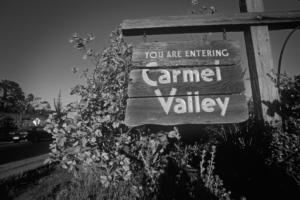 Carmel—spelled with six letters, including only one a—is a proper name. Search a map, and you will find many Carmels across the world. There’s a Carmel Beach in California, the biblical Mount Carmel in the Mediterranean, and perhaps a Mount Carmel Church in your own neighborhood. You might also have an aunt Carmel in the family or have enjoyed lunch at Carmel’s Diner. Did you notice anything else in addition to Carmel having one less letter? As a proper noun, “Carmel” is always capitalized. Without that important capital letter at the start, it would just become a misspelling of the word “caramel”! Where Did the Caramel vs. Carmel Debate Come From? 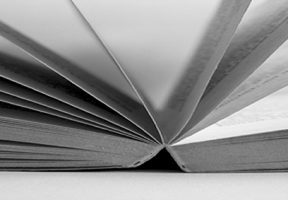 It’s no secret that the way we write and the way people speak can sometimes differ. Language can be tricky, and there are many words in English that sound the same even though they are spelled differently. When the words “caramel” and “Carmel” are written next to each other, it is easy to see their differences. Based on the definitions above, we also know these two words carry two separate meanings, with one being a common noun and the other a proper noun. The argument then becomes about how the word is spoken aloud. An elite grammarian will tell you there is yet another clear distinction between “caramel” and “Carmel,” in that one version of the word should be spoken with three syllables whereas the other only has two syllables. The reality, however, is that most people will understand what you’re saying whether you choose to enunciate that extra a in the middle or not. 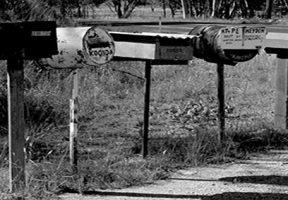 In fact, it has become common, especially across North America, to hear the two words pronounced the same way: KAR-muhl. Keep in mind, though, that just because people pronounce words a certain way doesn’t make it grammatically correct! At this point, armed with clear definitions and grammatical knowledge, you may be asking why the confusion persists. We know there can only be one correct spelling for each word, even if it’s not spoken exactly as written. But with so many variations of dialects, accents, speech habits, or personal preferences, the way in which words are spoken vary as well. As the case of caramel vs. Carmel shows, it has become acceptable in everyday conversation to pronounce them the same way. If you’ve been getting tripped up over caramel vs. Carmel, here’s an easy trick to always spell them correctly. When referring to the food item, consider how you might pass someone one of those delectable treats: “Would you care for a caramel?” Creating a simple play on words like this can remind you to include the extra a in the middle (even if we don’t wish to pronounce it). “Hello, friend, would you care for a caramel?” Why yes, thank you! Conversely, since Carmel is the name of a location and not a food item, it may be envisioned as a beautiful or important place to visit, like a capital city. Would you like to visit the capital of Carmel someday? Well, don’t forget to capitalize the C first! Avoiding a lowercase c will maintain Carmel as a proper noun and remind you of the correct spelling. Enjoy Your Caramels. Visit Your Carmels. Congratulations! 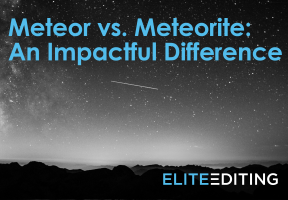 You now understand the difference between these two words and have learned a few handy tricks to keep them straight. The next time you’re in Carmel, go ahead and eat a caramel. You’ve earned it!